Posting Schedule for the Spring + New Etsy Shop! Blogging in college is hard. I love it, but as a music major, I have quite a bit of stuff to do during the semester. This spring will be especially difficult with everything from Ear Training & Sight Singing 4 (?!) to working on preparing for my junior recital in the fall. I want to spend as much time as I can on this blog as well as my Etsy shop, which you can find in the sidebar and by clicking on “Shop My Stuff” across the top. Another exciting thing that I want to announce is the launch of my Etsy shop! I briefly mentioned it at the beginning of this post, but here is the part where I explain it further. (Yay? Yay.) So, I have been thinking about ways to take my blog to the next level. Yeah, I love writing, but I also enjoy creating other types of content to help out my fellow college students, musicians, job hunters… So, that is why I have opened a shop on Etsy where I am selling different kinds of academic and general organization printables. I have a few items in stock now, but I hope to add more soon. Check it out by clicking “Shop My Stuff”! 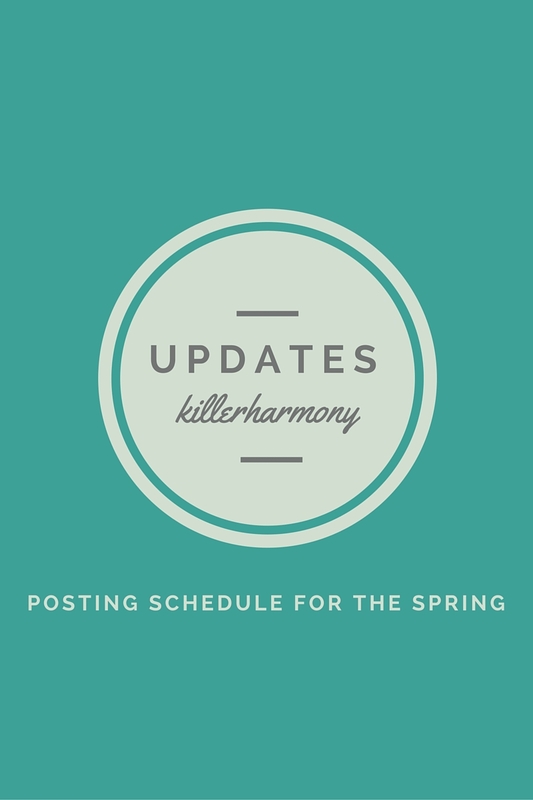 If you want to keep up with me daily, follow me on Twitter (at)itskillerharm and Instagram (at)killerharmony. You can also subscribe to email updates in the sidebar, and be sure to leave a comment with a request for either a blog post or a printable! Thanks for reading, and I hope you understand!